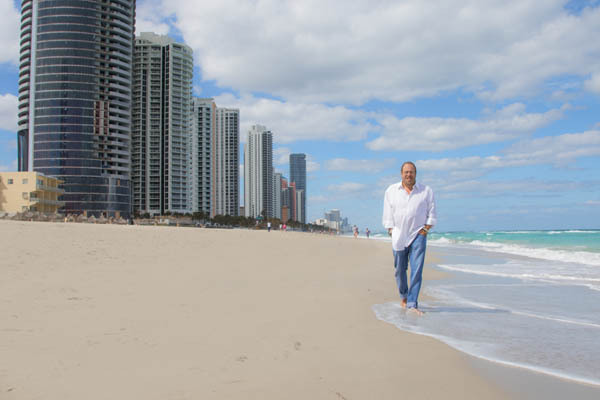 As one of the most prolific oceanfront property owners in Sunny Isles Beach, Florida, Michael Dezer launched his company 45 years ago, and is now focusing on tackling NYC’s commercial real estate market. With his successful run, Resident Magazine asked Michael Dezer about his beginnings and his road to success. As a graduate of Pace University, Dezer received his degree in Marketing and Advertising followed by an MBA in marketing management, and later a a doctorate of commercial sciences. While going to college he went to Madison Avenue and became a consultant, before launching a direct marketing company. After landing financial institutions for his first major clients be purchased his first building, a 12 story commercial property on 19th Street between 6th and 7th avenues. Across the street he noticed they were developing loft buildings so Michael stated “let’s go into the loft business” and began making deals with many of the owners thus a legacy was born. In Manhattan, Dezer Development owns and manages numerous commercial properties in Chelsea and Flatiron district. He began building his empire in the early 1970’s acquiring buildings used by industrial/manufacturing tenants. His vision led him to revamp factory buildings and transform them into luxury offices in New York City. Dezer became the first developer to do so, and positioned the Chelsea area as an up and coming district. When others though the area was failing, he turned it into a core spot for fashion, multinational company headquarters, offices, and created loft style living spaces. His New York portfolio holds more than 20 commercial buildings, 8 commercial co-ops, 1 luxury residential loft- which extends to 1.3 million square feet of space in Chelsea and Flatiron neighborhoods. When leasing loft space, these high ceiling open plan units leave endless options to customize your space. His 12 story loft building that features newly renovated lobbies and great oversized windows at 27 West 20th street. The building on 150 West 25th Street offers sprawling spaces up to 5,500 square feet, with a beautiful attended lobby. Four blocks from Penn Station is a 19 story building with stunning views and large spaces at 150 West 28th Street. In 1985 Michael started his legacy in South Florida, with over 27 oceanfront acres. Today they are the largest owners of oceanfront property in Miami, owning over 1,000 hotel rooms amongst several other condominium and resort properties including the Travelodge Monaco Beach Resort and Days Hotel Thunderbird Beach Resort. 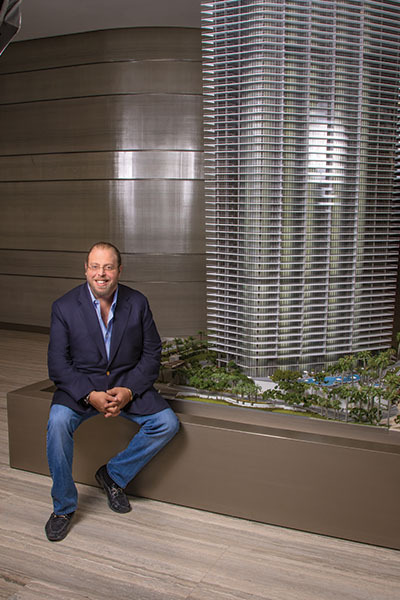 As the President of Dezer Development, Gil Dezer is credited as one of the youngest developers of luxury high rise residential & condo/hotel properties in the United States. By introducing brand partnerships, Gil Dezer is changing the way South Florida real estate is valued. He has collaborated with Donald J. Trump that led to the Trump Organization’s first real estate market in South Florida. The Trump Grande Ocean Resort and Residences and Trump Towers in Sunny Isles Beach is a collaborative development that has met with much success. Gil has always managed to be successful despite economic terms in the real estate market and landed two noteworthy accomplishments from 2009 and 2010 and made enough profit to pay off Trump Royale’s construction loan and Trump Tower II and III’s mortgage that was a grand $475 million. As a maverick in his field, Dezer is exceptional with forging brand partnerships within real estate. In 2012 Gil made a licensing agreement with Porsche Design Group and expanded the luxury brand into the real estate market. Dezer also showcased his patented robotic parking system in the 60 story Porsche Tower where the “Dezervator” allows the residents to park their vehicles in the “sky garages,” which elevates the concept of technology and luxury. This success led to a new partnership between Dezer Development and Giorgio Armani to launch their first residential tower, named Residences by Armani/Casa. Gil’s professional achievements earned him the position as President and Chairman Emeritus of the Developers & Builders Alliance and he also won the Greater Miami Chamber of Commerce’s R.E.A.L. Award for Residential Real Estate in 2012, as well as the Platinum Personal Achievement Award for Sales Director of the year for Trump Grande Ocean Resort & Residences for three consecutive years. Aside from building their empire, Michael and Gil are very active in the community with many philanthropic endeavors and adventurous pursuits. Michael Dezer has opened his own Dezer Collection Museum and Pavilion which showcases his extraordinary rare automobile collection of over 1,000 American and European classics accumulated over 50 years. Some of the vehicles are on display in the museum that also holds a substantial collection of James Bond props. Gil is also part of the Mount Sinai Medical Center Foundation, Young President of the Miami Heart Institute, a member of the Florida Friends of Israeli Defense Forces, and continues to support of many American and Israeli charities.